In a medium saucepan, mix red wine vinegar, melted extra virgin coconut oil, onion, salt, parsley, dry mustard and garlic. Bring to a boil. Reduce heat. 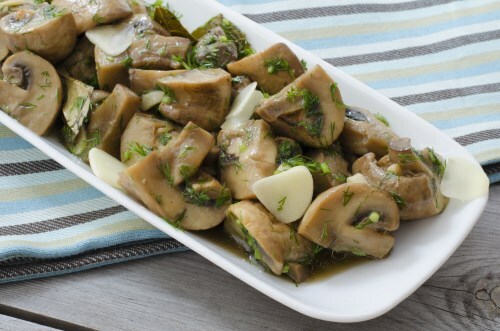 Stir in mushrooms. Simmer 10 to 12 minutes, stirring occasionally. Transfer to sterile containers and chill in the refrigerator until serving.